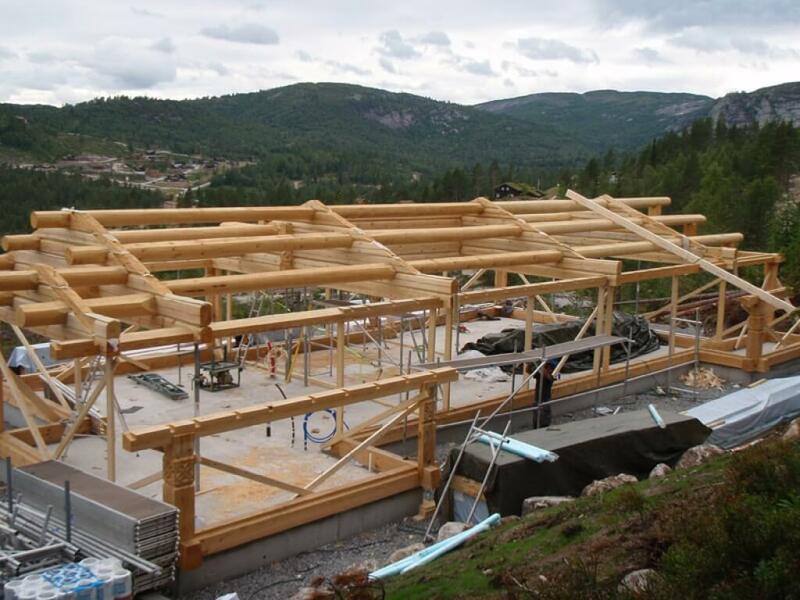 Frame houses of this type are widely spread in Norway. The main distinction between them and other frame buildings lies in their capacity to hold heavy weights. It is possible on account of 300mm x 300mm beams and round poles 450mm in diameter or larger, which are used for base frame of the ground floor and bearing posts. 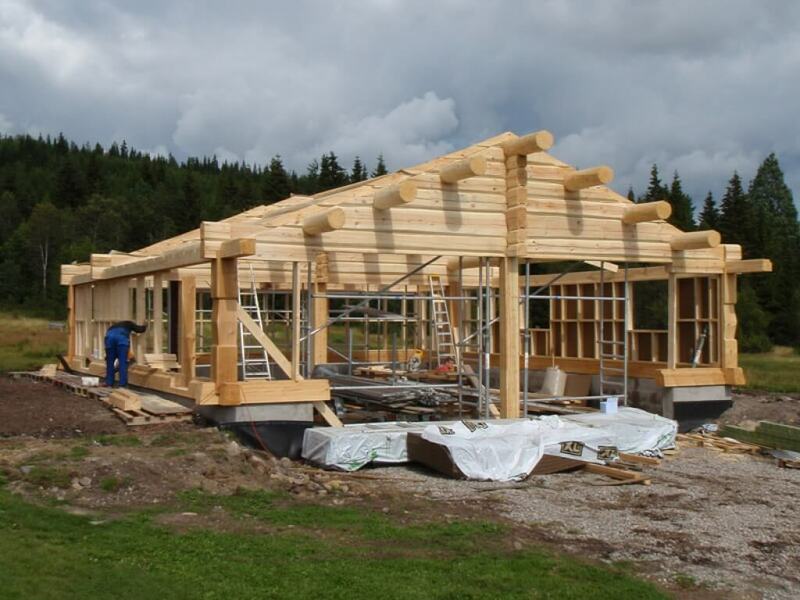 Setting the base frame of the ground floor in a wooden frame building is the most complicated part of the process because, depending on the house project, it is necessary to mount log house first floor or log gables before lining the walls and binding the bearing posts together. 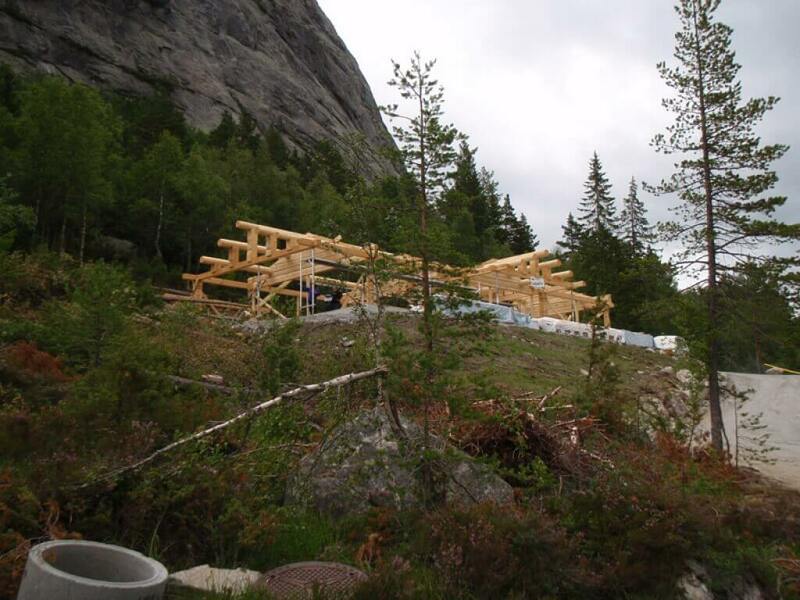 The entire structure stands on temporary support until the mount of wall framework. Thickness of heat-insulated walls runs from 200mm to 250mm. It is possible to use any finishing materials for outer and inner finishing: unedged boards, drywall, stoneware tiles, natural stones, decorative panels and so on. While mounting gables, it is important to level the surfaces of grooves in order to avoid gaps during further installation of ceiling elements. 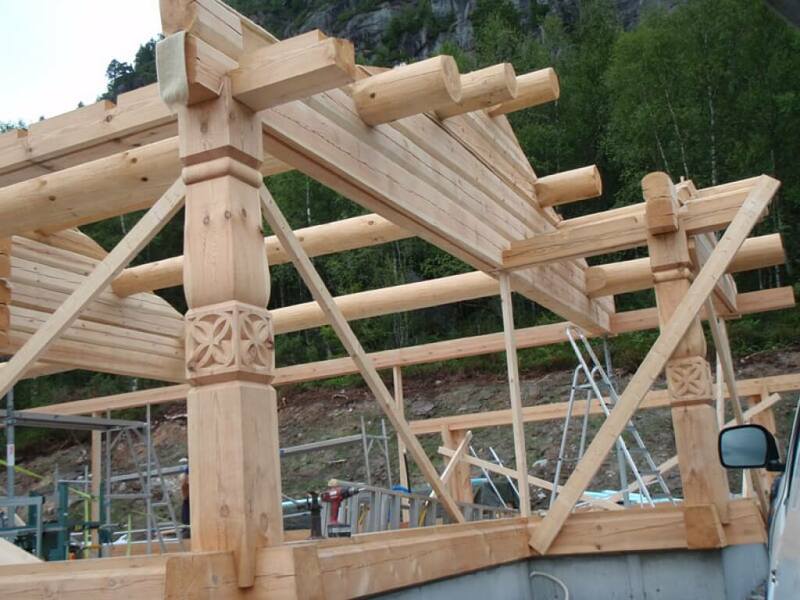 It generally takes 3-7 days to mount the main wooden structure, depending on its size. 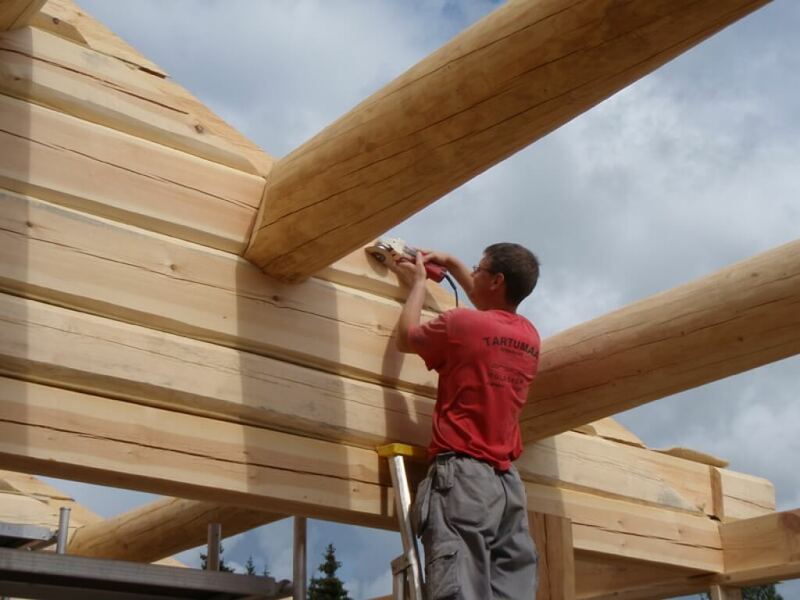 The minimal time that is required to complete a turnkey log house project is 3 months. It is crucial to decide on all finishing materials, door and window sizes, shapes of architraves and a roof type. 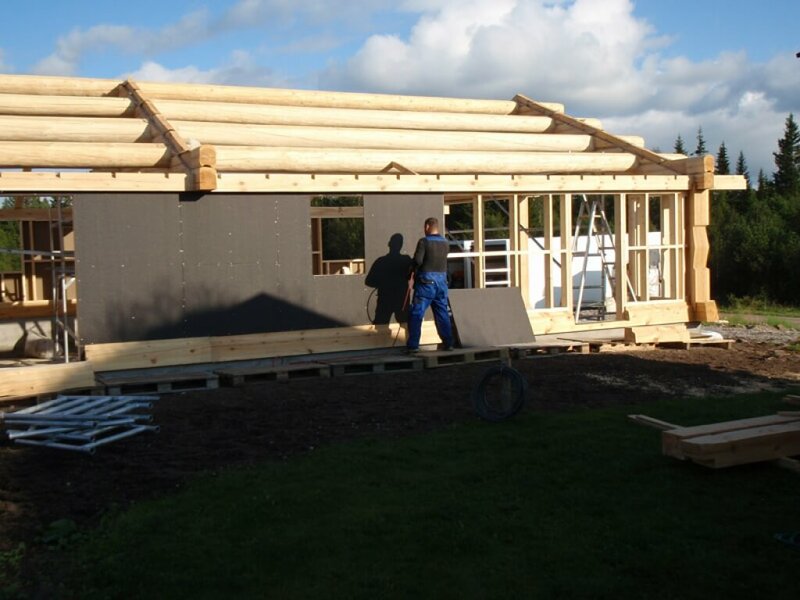 A frame building costs 20-30% less than a log house due to the utilisation of cheaper materials and reduced labour costs. Despite the seemingly straightforward construction, these houses are still the result of an extensive hand work. All elements of the building are produced and implemented manually so that every house possesses individuality and reflects the owner’s character. 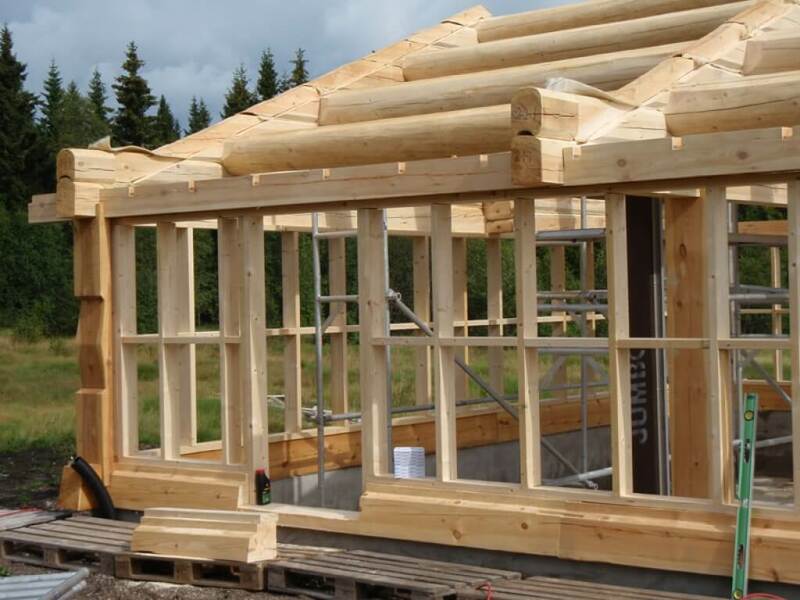 Interior layout is used more rationally in frame houses than in log buildings as it is not reliant on corners, overhanging lengths of the beams and their thickness. 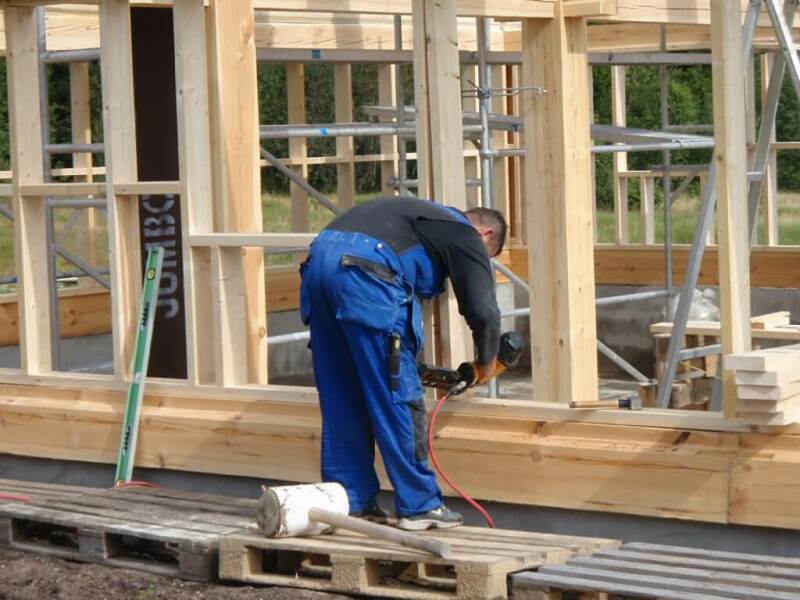 Most importantly, a wooden frame house does not undergo heavy settling, which makes it possible to do all finishing work right after the mount of the main structure.